What a difference a couple of years make. Through most of the 2000s, it was the corporate sector and the provinces that took the sustainability and climate change bull by the horns. In 2016, the federal government is fully engaged on these issues. With the planets in this kind of alignment, there’s no better time to have an inclusive, frank conversation about our collective agendas and how we achieve them. Government and industry leaders need to be talking and collaborating on a way forward that benefits the country and the climate. I was honoured to host the EXCEL Partnership Fall 2016 Roundtable(s) on October 18th and 19th in Ottawa. The EXCEL partnership is “Canada’s Business and Sustainability Partnership,” made up of Canadian leaders who share a strong commitment to leading on corporate sustainability (Air Canada, BASF, Bentall Kennedy, Bell, Cameco, Capital Power Corporation, Cenovus, CN, Enbridge, Ontario Power Generation, Potash Corp, RBC, Sun Life Financial, Statoil, Teknion, TransAlta). The roundtables brought these organizations together with government leaders to discuss how Canada can create a sustainable economy for the 21st century. Participants included senior representatives from the Ministry of Environment and Climate Change, the Ministry of Natural Resources, and the Ministry of Infrastructure and Communities, the Ministry of Finance, Transport Canada, the Ministry of Innovation, Science and Economic Development, as well as individuals from Sustainable Development Technologies Canada, National Resource Council, Business Development Bank of Canada, and Export Development Corporation. What became very clear over the course of the two days was the level of ambition in the room – across both public and private sector aisles. We’re in this together. 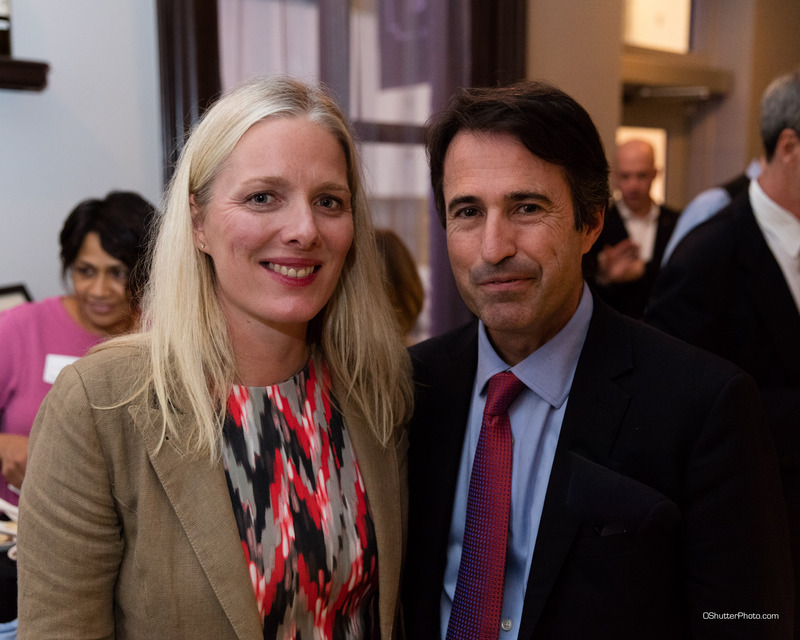 At the reception, Catherine McKenna, Minister of the Environment and Climate Change, spoke about why corporate leadership is important – companies are not only the job creators, but the private sector is leading on how carbon is priced into investment decisions. During that same event, John Stackhouse, Senior Vice President in the CEO’s office at RBC, provided insight into RBC’s recent effort to advocate for a smart approach to reinvesting carbon revenue — to use the energy that we have today to finance the energy that the world will need tomorrow. Pan-Canadian framework feedback. The Pan-Canadian framework – and the carbon pricing strategy, in particular – sparked extensive discussion. A common theme? The need to manage risk around carbon pricing, particularly when negotiating a variety of regimes across the provinces and territories. Cleantech is hot. 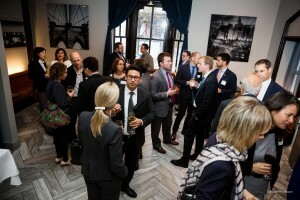 At an invite-only interactive forum, government leaders developing cleantech policies and programs engaged with sustainability leads at large Canadian corporates to discuss how and when cleantech innovation decisions are made and how they are implemented. This was part of our ongoing efforts to foster collaboration between the private sector and the federal government on cleantech in Canada. Finance: The next frontier. A dialogue with Finance Canada flagged key barriers and opportunities relating to business investment in cleantech, human capital, and industrial infrastructure. The theme of exploring innovative ways capital can be deployed to drive growth and support the transition to a low-carbon economy will be continued at the inaugural GLOBE Capital in 2017. A greater understanding between government and industry emerged from the roundtables, and underlined the need for strong collaboration on building a sustainable economy. We look forward to advancing this important discussion even further at future events.